Oh OK I might as well admit it – there are no new YAYs to report. But issue 62 of ‘Obsessed with Pipework’ arrived, including my poem ‘Calamity’ which just crept in at the back. It’s a bit of a weird one (the poem that is) and I’m grateful that Charles Johnson at ‘Obsessed’ has a keen eye for the quirky. 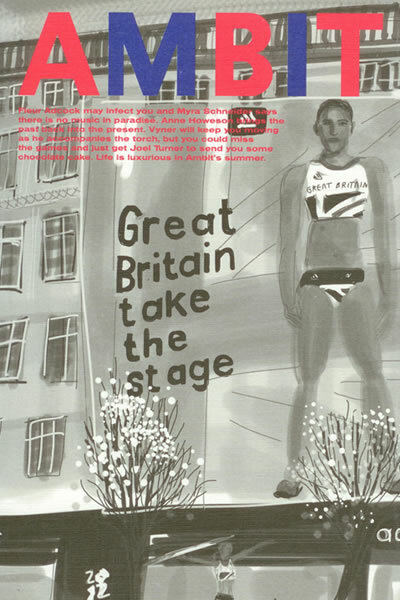 In the magazine I spotted some nice work from a couple of people unknown to me but who I’m now tempted to seek out – more of that in another post. 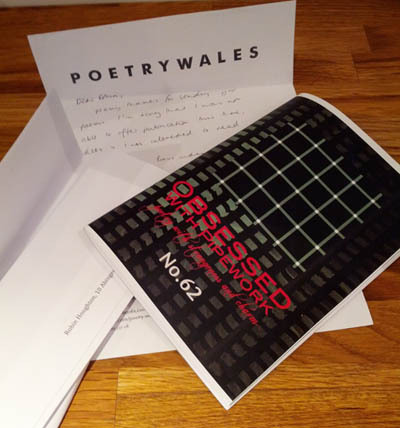 Elsewhere in the mail, a nice note ‘I was interested to read your poems but not enough to offer publication’ from Poetry Wales. As usual, I look at the sorry poems squished into the SAE and wonder what milligram of merit I once imagined they contained. I’m hoping I may not be quite so ashamed of them once they are refiled and separated from the negative vibe of the no-thank-you note. Once dusted off, I may just send them out again. Or they may be destined for the ‘revisit one day’ folder. Thank you to everyone for your lovely notes of sympathy by the way. I was really touched by messages of support from people I’ve not even met. Testimony to the power of social media – if I didn’t already believe that it’s all about people and NOT technology, I certainly would now. My mum’s funeral is planned for next week. 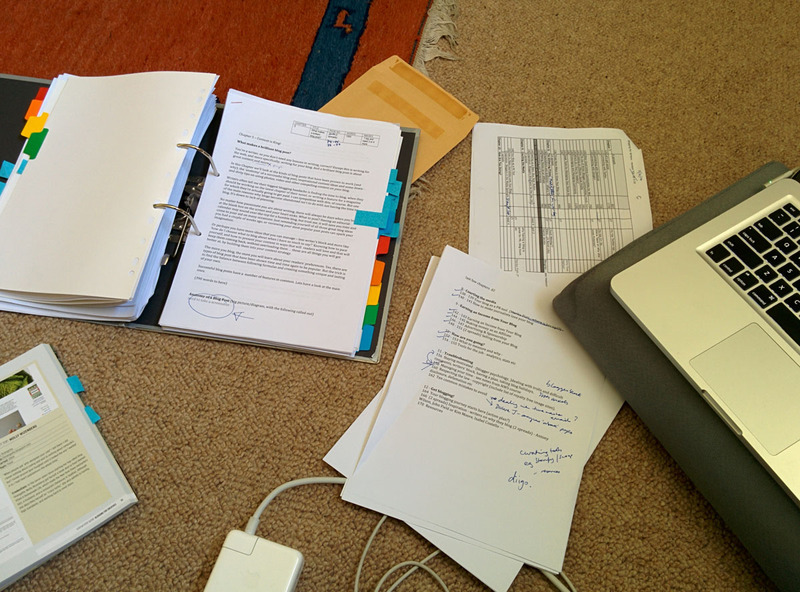 Meanwhile I’ve a couple of things to look forward to at least – on Thursday morning I’m leading my first workshop for New Writing South, on the subject of ‘Feel the social media fear (and do it anyway)’ – for writers who are reluctant to use social media for whatever reasons. I’m expecting some tough opposition – wish me luck! Then on Saturday I’m attending a workshop with George Szirtes in Swindon on Saturday courtesy of BlueGate Poets. And I’m excited to be finally meeting Josephine Corcoran IRL after much lovely correspondance via this blog and various social media.